At the winding, anti-clockwise Boavista circuit through the cobbled streets of Oporto, Jack Brabham won his fifth grand prix in a row, almost making certain of his second successive world championship. 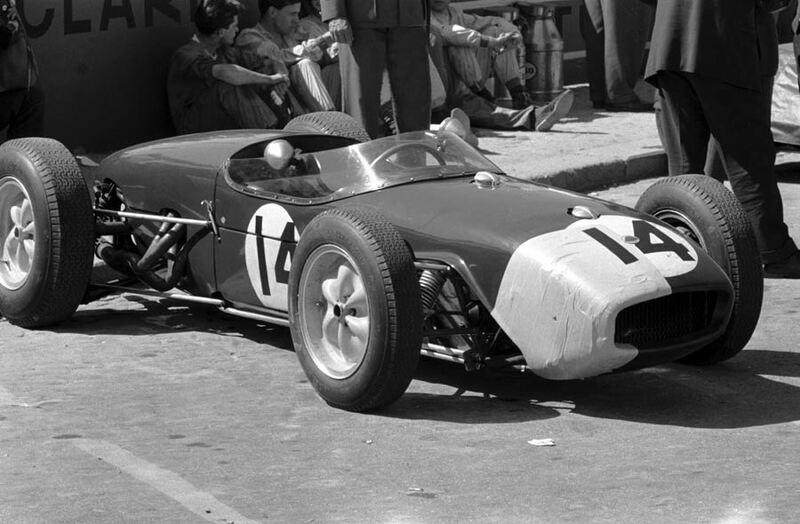 Stirling Moss, driving for the first time since his horrendous accident in Belgium, was controversially disqualified after finishing fifth. John Surtees, proving once again that his switch from two wheels to four was a wise move, started in pole position, ahead of Dan Gurney and Jack Brabham. Jim Clark was back in eighth, in a patched-up Lotus that was repaired overnight after he crashed in qualifying. Gurney took the early initiative, but his lead was short-lived as he had to ease up with suspected engine problems, retiring soon afterwards. Surtees took up the challenge and led until the 35th lap, when his petrol tanks split. The fuel dripped on to the pedals and his foot slipped off the brake, causing him to hit a kerb, puncturing the radiator. All the water leaked out and the car stopped, allowing Brabham to take the lead, which he held for the remainder of the race. Moss was once again plagued with mechanical problems, visiting the pits no less than four times in the early part of the race. When the car was actually working, he was very quick, and battled his way back up the field, finishing fifth of the eight cars that made it to the end. With two laps to go, however, Moss had swerved into a straw bale stalling his engine. He pushed the Lotus to get it started and jumped back in once the car was moving. Officials decided he had broken the rules by pushing his car against the direction of the race and he was disqualified. Jim Clark finished third, for his first podium finish, just behind Bruce McLaren, who was second in his Cooper Climax.